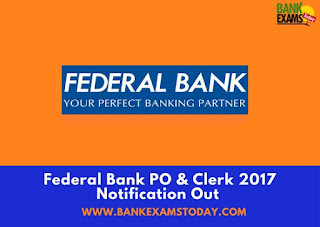 Bank’s website www.federalbank.co.in, after carefully going through the instructions contained in this notification. Candidates who completes / had completed Graduation with minimum 55% marks for Science discipline and minimum 50% marks for other streams during academic year 2016-17 in regular mode (completed and / or passed out in May / June 2017) from any recognized university or other institutions established by an Act of parliament or declared to be deemed as a University under Section 3 of U G C Act, 1956. Should have obtained minimum 60% marks for SSC or equivalent exam & 60% marks for Plus 2 or equivalent exam. 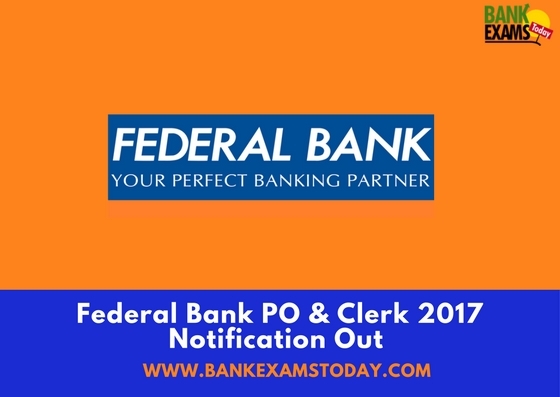 Should have cleared all papers of the qualifying examination as on the date of process conducted by the Bank. Candidates who completes / had completed Post Graduation in any discipline with minimum 60% marks, during academic year 2016-17 in regular mode (completed and / or passed out in May / June 2017) from any recognized university or other institutions established by an Act of parliament or declared to be deemed as a University under Section 3 of U G C Act, 1956. Should have obtained minimum 60% marks for SSC or equivalent exam, 60% marks for Plus 2 or equivalent exam and 60% marks for graduation. Selection will be based on Online Aptitude Test, Group Discussion and Personal Interview or any other mode of selection to be decided by the Bank. The online aptitude test will be followed by a psychometric questionnaire for a maximum duration of 15 minutes. The process will be conducted in various centers depending upon the number of candidates.